Dana Kawala shows you how to program your locomotives for lighting, sound, and weight effects to simulate realistic train control. Dana Kawala is back with more great advice for getting the most out of your Digital Command Control equipped locomotives. In volume 2 of this series, Dana shows you how to program your locomotives for lighting, sound, and weight effects to simulate realistic train control. 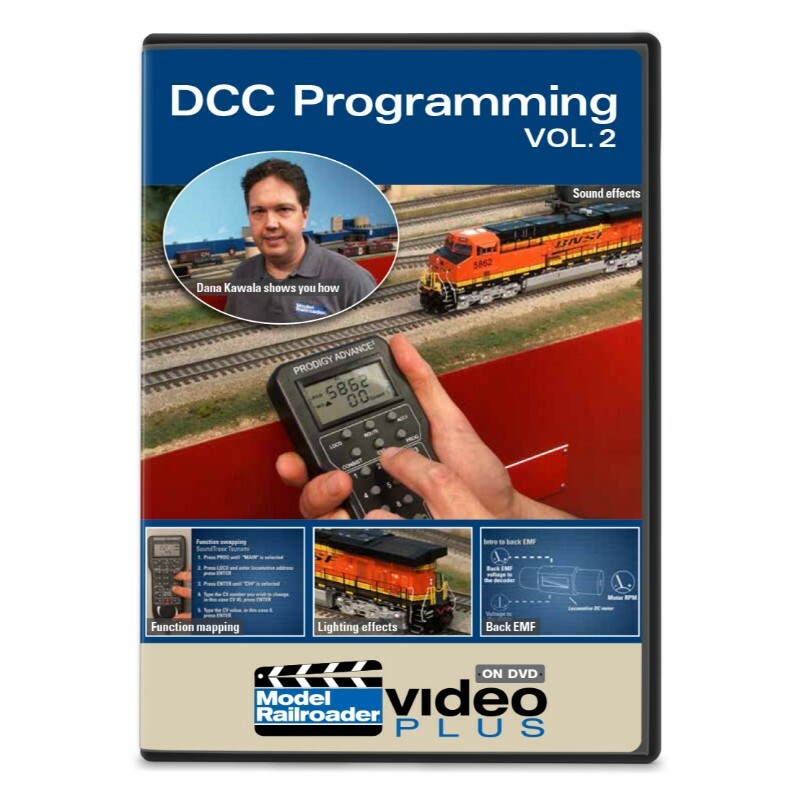 He also shows you how to reprogram function buttons on your DCC throttle and explains one of Digital Command Controls more complex configuration variables, CV29. You won’t want to miss Dana’s great programming tips on this DVD.